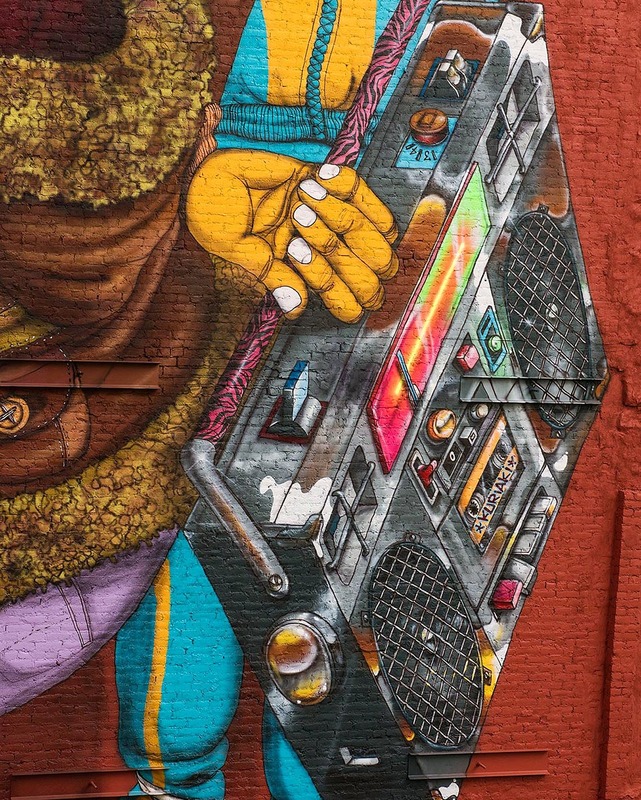 For anyone interested in the hip hop culture, New York is an obligatory destination. The city plays a fundamental role in this urban culture’s history. 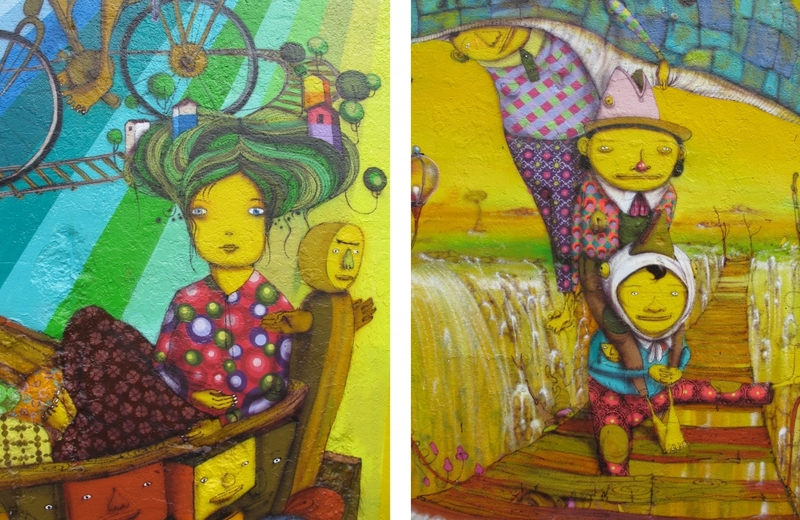 And this was the inspiration for the most recent mural of artists OSGEMEOS. 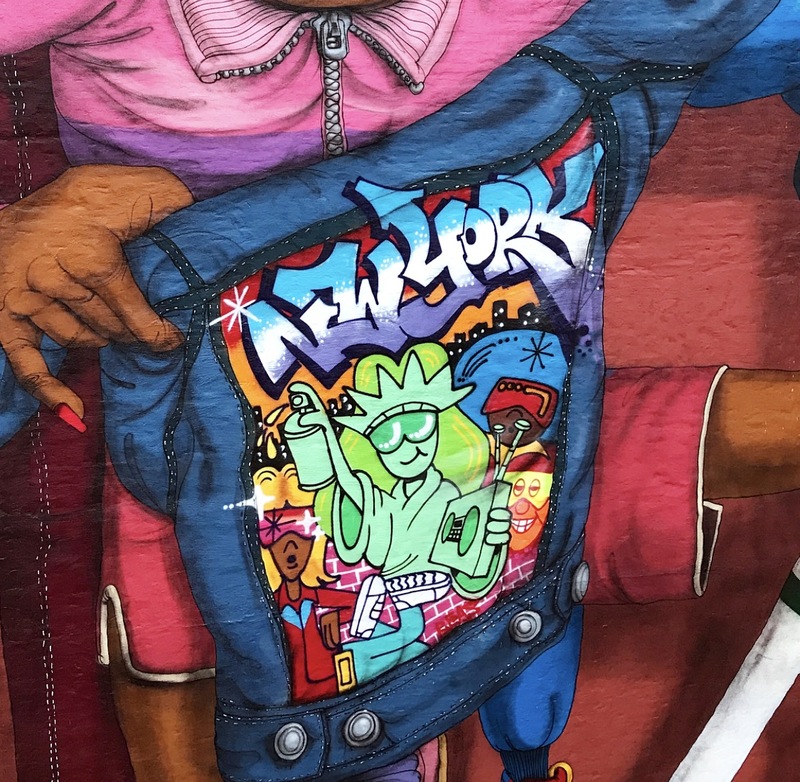 The painting occupies two huge murals in the 14th street between 6th and 7th and is dedicated to hip hop – both old and new school. 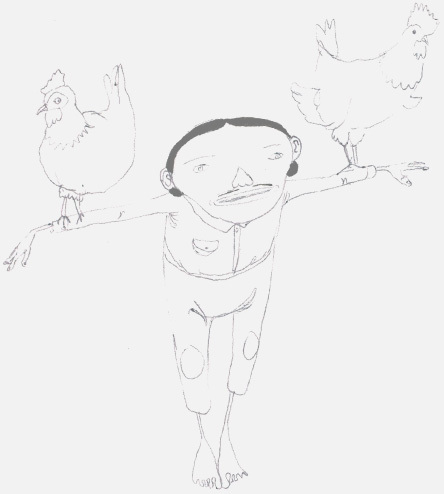 This is part of an independent project by the artists. Pictures by legendary Martha Cooper. Over a thousand people came to the opening of the “Silence of the Music” exhibition at Lehmann Maupin gallery in New York. 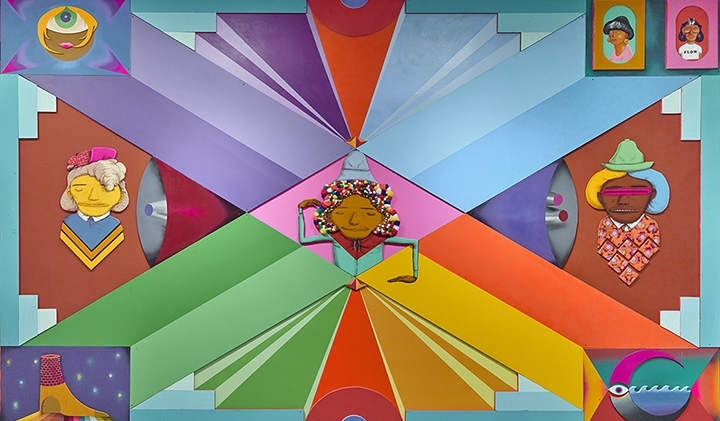 Exhibition was conceived as a site-specific, where each of the five rooms has a unique selection of paintings and objects covering the walls, from the floor to the ceiling. In the first room, there are paintings with their style that are most known, with references to the imaginary of Brazilian culture and its traditions, and also signs of a new artistic moment, more geometric and clean. In another room, the brothers covered the walls with references to hip hop culture, including bboy icons such as Ken Swift, a collaboration with Doze Green done over a photograph by Martha Cooper besides paintings in the format of boomboxes with speakers. 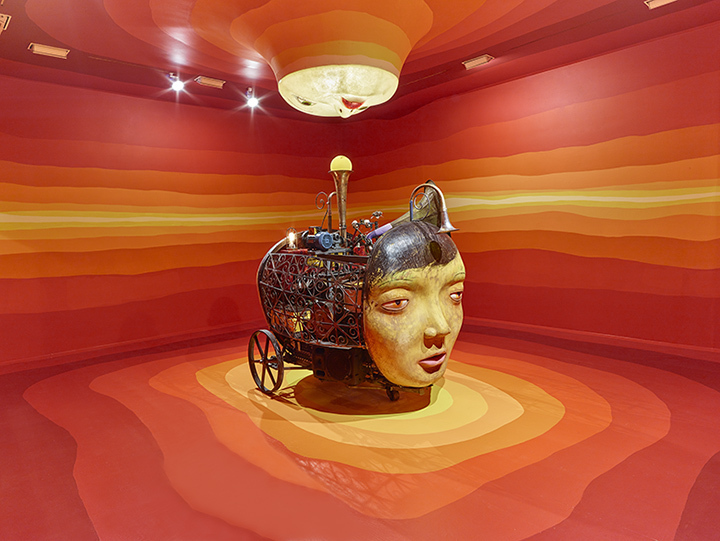 In another room, the “Kiss” sculpture takes the spectator to other universes through music produced 100% automatically, just like a big music box. 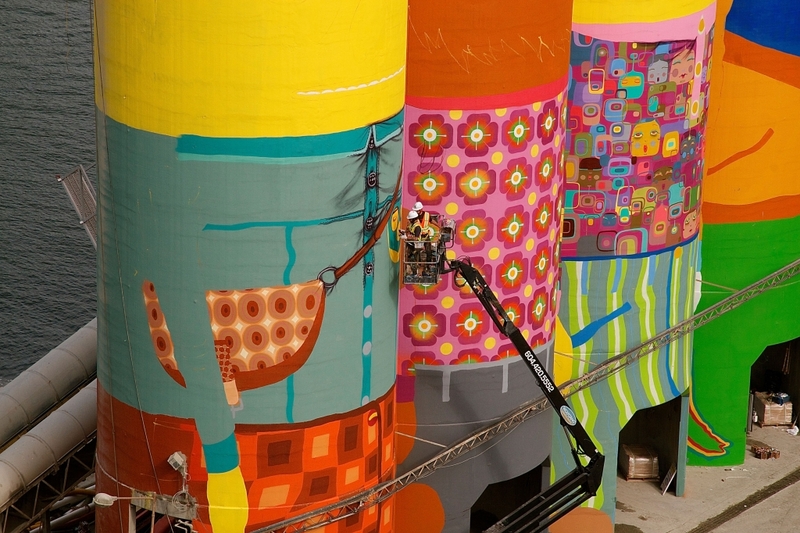 OSGEMEOS were invited by Pirelli Hangar Bicocca foundation in Milan, to paint the front area of their cultural complex. Hangar Bicocca, as it is more known, is a non-profit foundation created in 2004 which became one of the main references of contemporary art in Italy. It is a very special place because it used to be a train factory. The complex has different areas – three exhibition areas, one reading room, one bookstore and one area for educational workshops. A lot of elements of the original factory architecture from 1920 to 1965 are still preserved such as the area used to build and test the machines and electric engines. 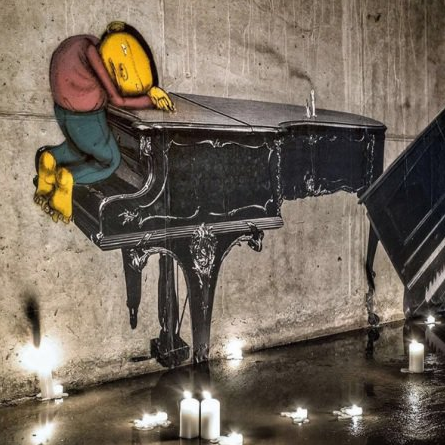 French artist JR and OSGEMEOS were invited by Palais de Tokyo in Paris to do a collaborative work in part of the underground tunnels of the institution, located next to the river Seine. 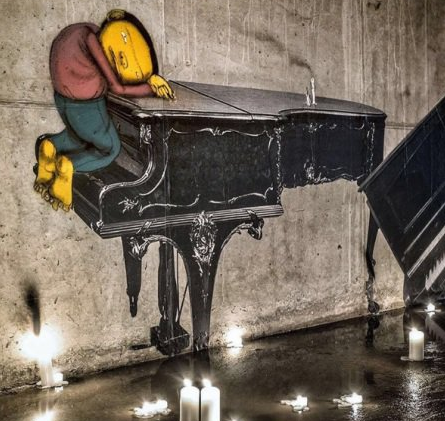 During World War II (1939-1944), those galleries were used as hiding places, where the nazis kept pianos they had stolen from homes and music schools from the time they invaded France. For security reasons, the tunnel will be closed to the public, but the works will be kept there as a collection from the museum. 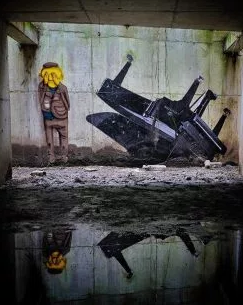 The installations are part of the Lasco project, from Palais de Tokyo, which is focused in debating urban violence and social tensions among other themes. 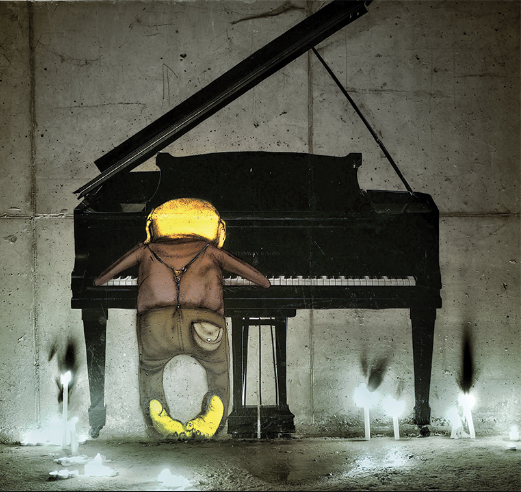 On the 8th September Lehmann Maupin gallery, in Chelsea, open its doors to present “Silence of the Music” OSGEMEOS’ first New York solo show with the gallery. Twin brothers Gustavo and Otavio Pandolfo will transform multiple rooms into an immersive installation that combines drawing, painting, collage, mixed media sculpture, and kinetic and audio elements. 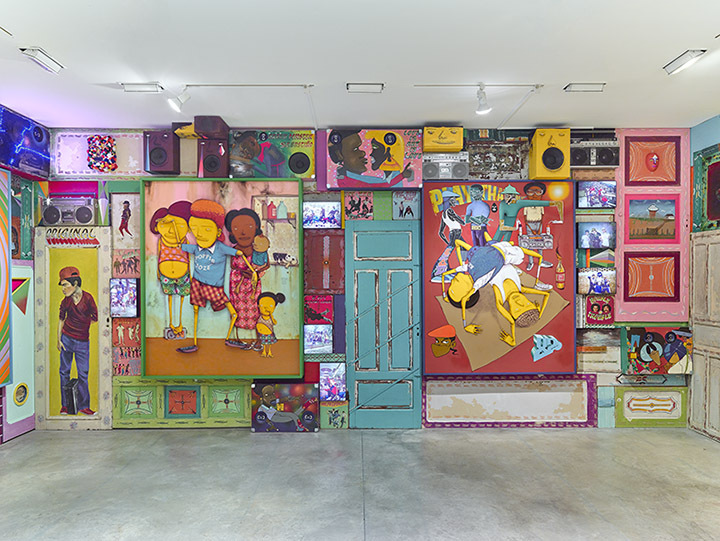 Conceived as a site-specific installation, each room contains a unique grouping of paintings and objects that cover the wall, floor to ceiling. The exhibition pays tribute to music in particular. 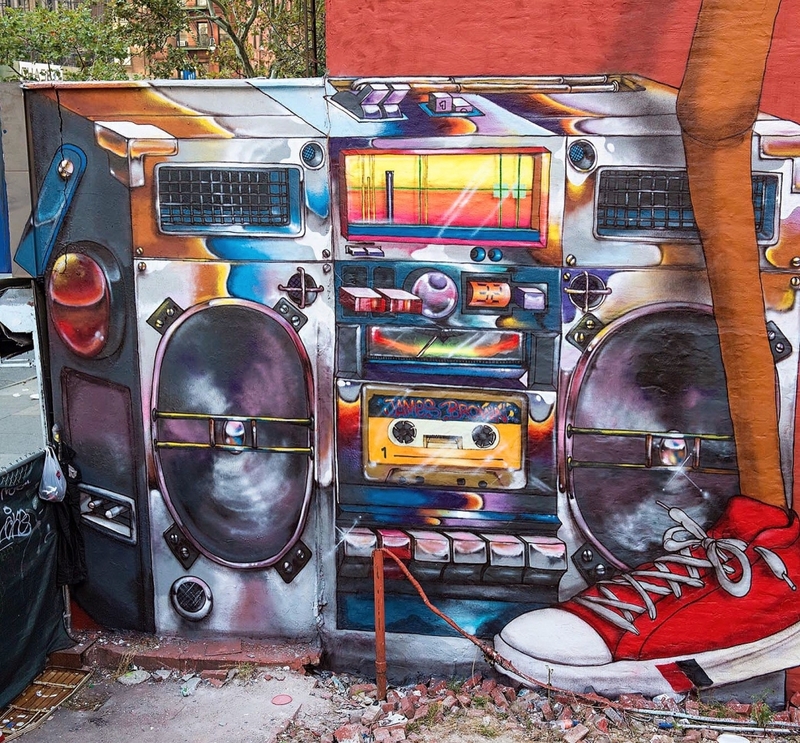 Included in their “B-Boy” room are boom box paintings—canvases with embedded speakers that play tracks linked to the imagery on the canvas—and interactive sculptures that play LP records. The Instituto Ayrton Senna – celebrating 20 years in 2014 – and OSGEMEOS got united in a campaign to inspire Brazilians to transform the reality of students from all over Brazil! 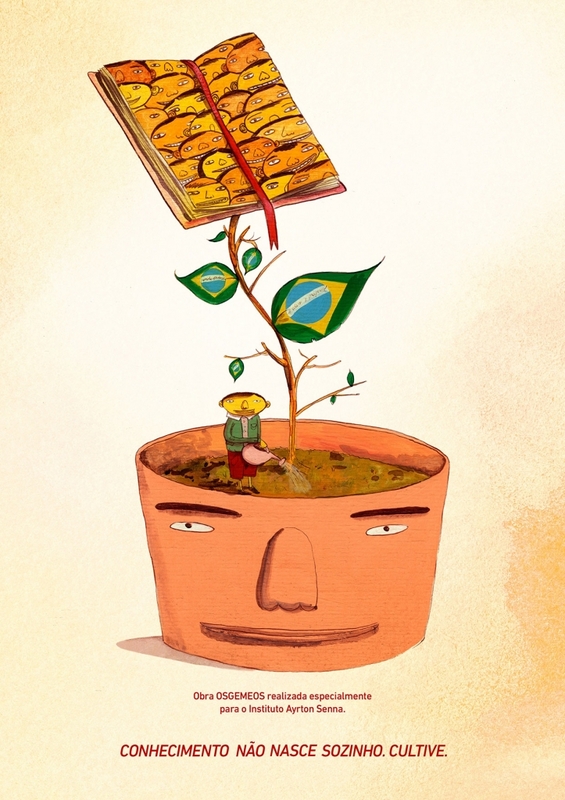 The artists made an artwork especially for the campaign “Knowledge doesn’t grow itself. Cultivate it”. Learn more about the campaign and the IAS accessing: www.doacaosenna.org.br and #CultiveConhecimento. The mural was first revealed in July 2009, and was exposed until March 31, 2010, when it was covered by a false wooden wall. Since then, Goldman Properties has created a curatorial program of art on this site, inviting many legendary artists to create their works there. 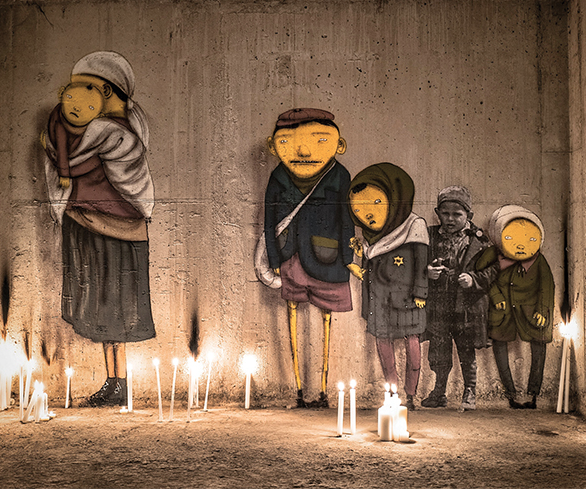 The project began with OSGEMEOS, and then displayed many other artists. 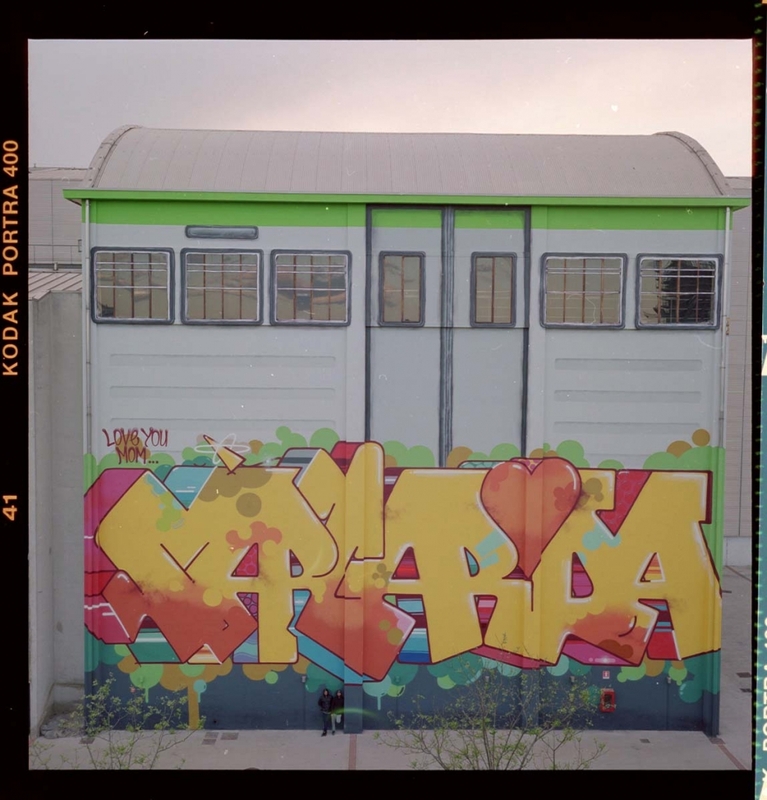 Originally inspired by the sudden and devastating news of the death of two friends in 2009, the brothers decided to dedicate the work to the memory of Dash Snow (SACER IRAK CREW), and Iz the Wiz. 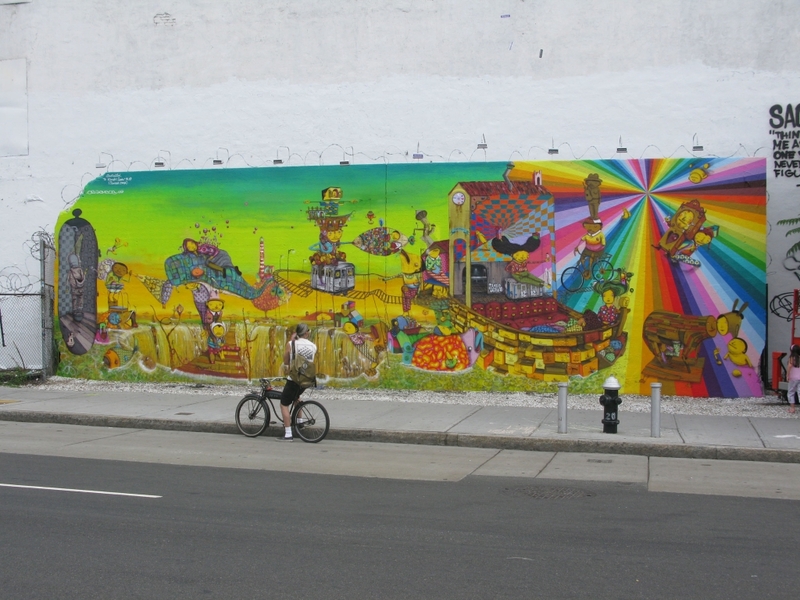 Four years later, the public can see the mural again, starting from this week. This movement of public art on the corner of Bowery and Houston streets is not recent. 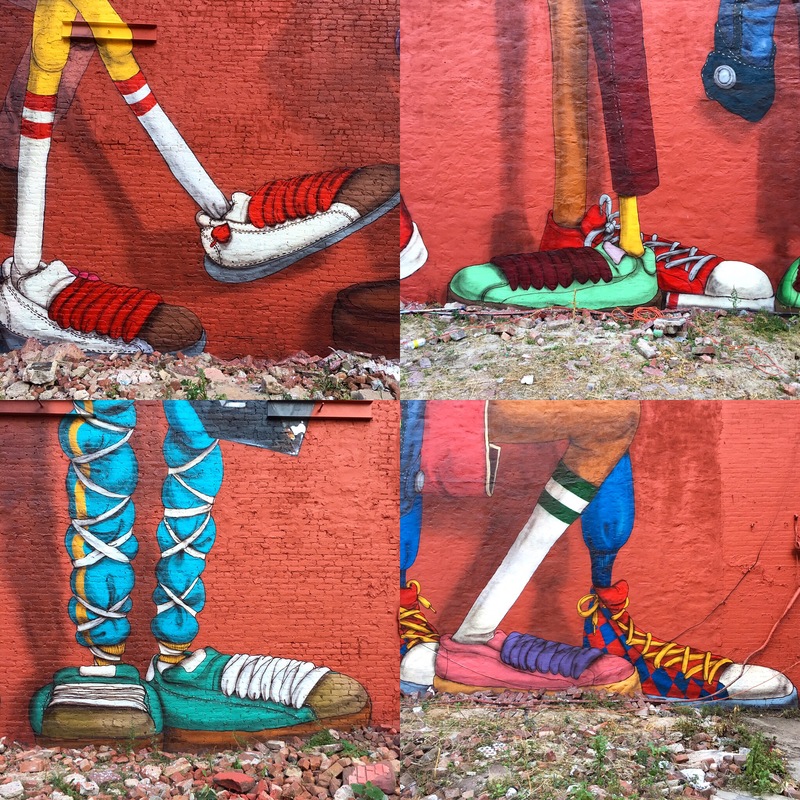 Began in 1982, when Keith Haring painted a mural on the abandoned wall in corner of both streets. The wall was covered up until 2008 when, on the occasion of the 50th anniversary of Haring, his mural was recreated. 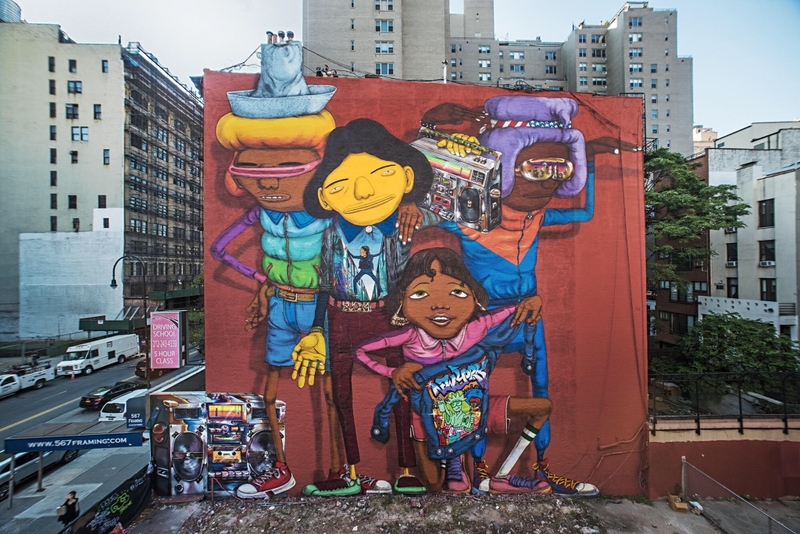 OSGEMEOS painted their mural in the following year. 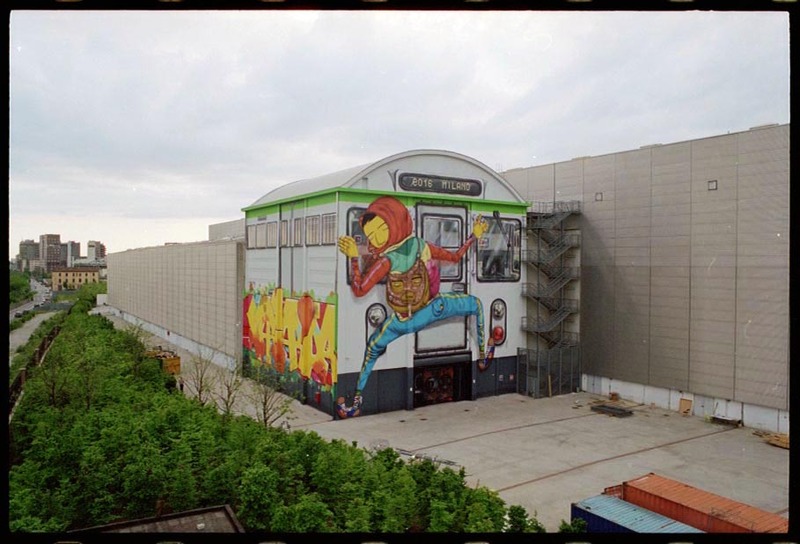 After three weeks, OSGEMEOS finished the gigantic 360 degrees mural, that is now part of the Granville Island’s landscape, in Vancouver, Canada. Check out parts of the process in the video. 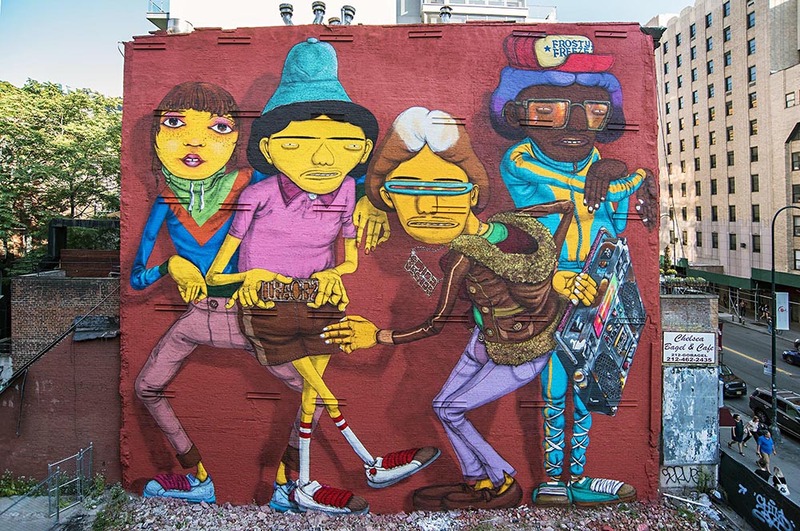 After the success of the exhibition Opera of the Moon, that in two months had more than 60 000 visitors in Galpão Fortes Vilaça, in São Paulo, the artist duo OSGEMEOS lands in Canada, for the Vancouver Biennale, which takes place between 2014 and 2016. 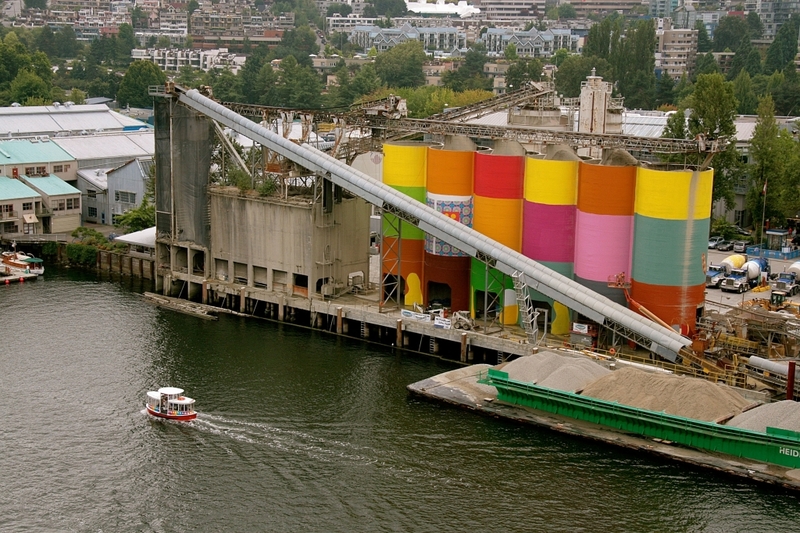 A 360o wall, with 20 meters high and over 2,000 m² will be created by the brothers Gustavo and Otavio Pandolfo in six gigantic silos, alongside the famous Public Market, Emily Carr University and the False Creek on Granville Island. The site attracts over 10.5 million visitors per year. The first challenge for the artists was to find a location beyond the conventional. 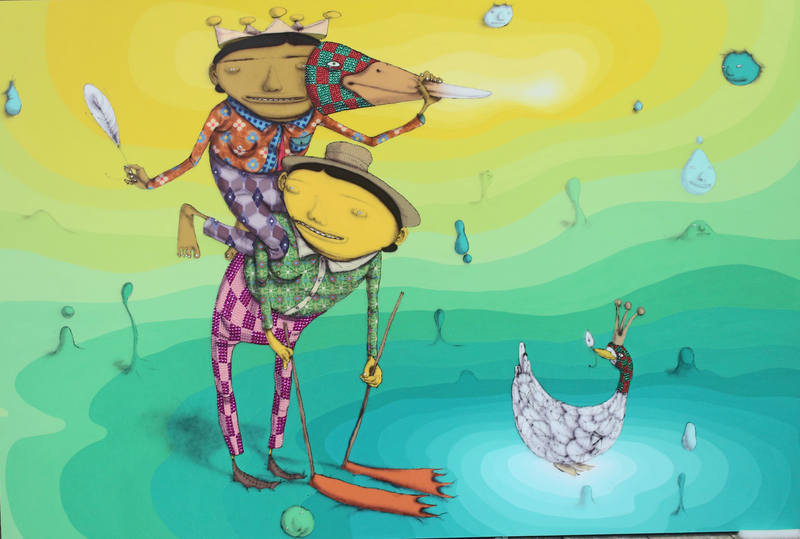 “As the proposed Biennale has a strong connection with sculpture, so we decided to find a place where the painting can be transformed, creating a dialogue between two-dimensional and three-dimensional worlds.” explain OSGEMEOS. According to them, another aim of this project is to bring the characters to Vancouver while sharing perspectives and cultures and establishing a relationship between the people who frequent the site, and integrate this work into the city scenery. The False Creek influenced the choice of location. “For us, the water acts as a vein, symbolizing life and it is very present in our work,” say the artists. In addition, the site is highly sought in Vancouver for water sports practice, such as canoeing, and by the residents themselves, for leisure and boating. With the new wall, the Brazilian duo will join the group of international artists who are participating in the Vancouver Biennale, as Ai Weiwei, Andy Goldsworthy, Vik Muniz and Jonathan Borofsky. 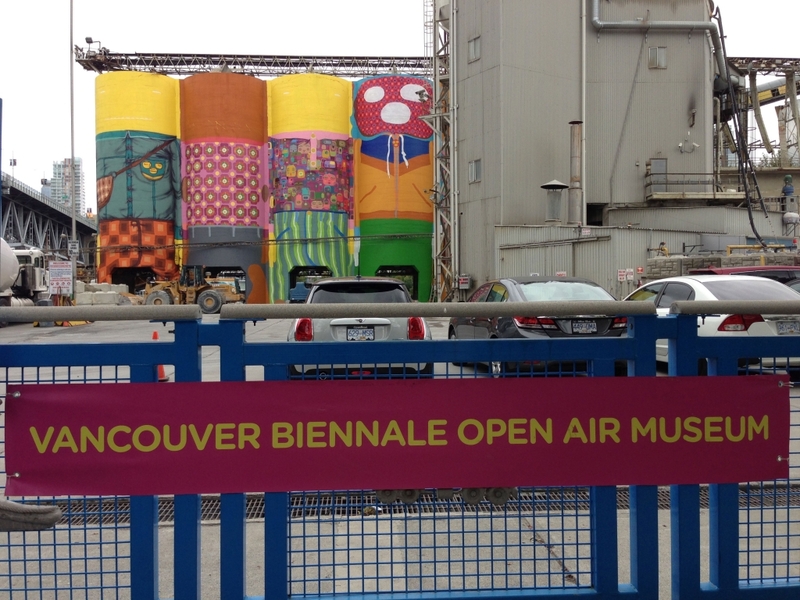 The Vancouver Biennale is a non-profit charitable organization that celebrates art in public space. 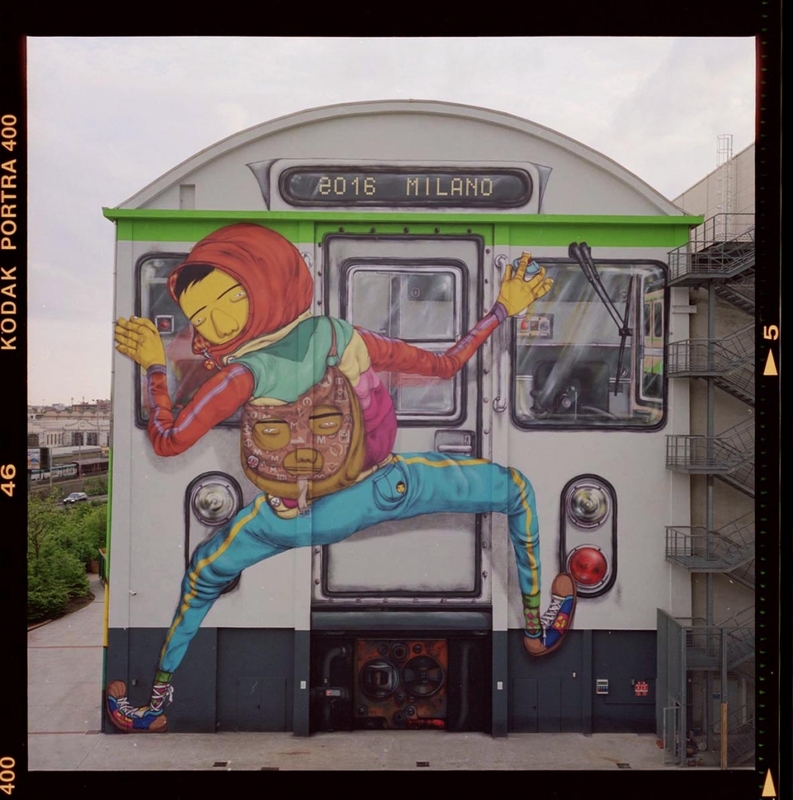 Each exhibition transforms the urban landscape into an Open Air Museum, facilitating globally-inspired cultural experiences where people live, work, play and transit. The Biennale features internationally renowned and emerging contemporary artists that represent a diversity of cultural perspectives and artistic disciplines, including sculpture, new media, performance works and film. The objective is to use great art in creating a catalyst for learning, community engagement and social action. For more information, visit vancouverbiennale.com.